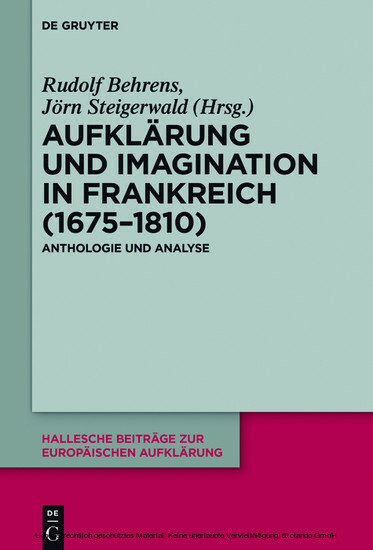 This volume seeks to reconstruct the developmental history of imagination in the French Enlightenment era. In chronological order, it presents 27 dossiers that document the notion of imagination, compiled from elements of the 17th-century theory of knowledge and differentiated according to discipline. Rudolf Behrens, Ruhr-Universität Bochum; Jörn Steigerwald, Universität Paderborn.